check out the revamped website from xtool x-100 Pro xtooltech, English is available. Just search XTOOL x100 pad 2 you will find the newest update version and all workable car list corresponding to the capabilities, the newest version / capabilities vary from one car make to another one. 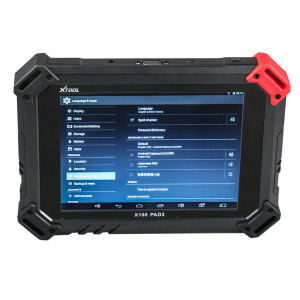 XTOOL x100 pad 2 is known as a multi-functional dealer programmer, mainly perform diagnose, special functions, EPS, Immobilizer, mileage adjustment and service light reset, it does very well on a wide range of car makes. How to update xtool x100 x-100 pad key programmer?